It’s been a busy year for Minnesota employers on the wage and hour front. As discussed in prior posts, new salary requirements will go into effect for “white collar” exempt workers on December 1, 2016, and a new Minneapolis sick pay ordinance will become effective July 1, 2017. On the heels of these developments, employers may also need to prepare to address a potential $15 per hour minimum wage requirement in Minneapolis. Wage advocacy groups recently scored a victory when a Minnesota district court said that Minneapolis voters must be permitted to vote in November 2016 on the proposed $15 minimum wage. After the City of Minneapolis appealed, however, the Minnesota Supreme Court accepted review and is now poised to weigh in on the question. The current Minneapolis battle over a potential $15 per hour minimum wage is rooted in a longstanding push across the nation by worker advocacy groups for a $15 minimum wage. While the fight for $15 movement hasn’t been successful yet at the federal or Minnesota state level, the movement is gaining traction in Minneapolis. 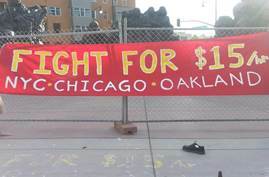 If a $15 minimum wage is eventually adopted in Minneapolis, the city will join a number of other locations that have adopted or are phasing in a $15 minimum wage, including, for example, the state of California, the state of New York, and the cities of Los Angeles, San Francisco, Seattle, and Washington D.C. The current Minneapolis battle turns on questions about local government authority that are somewhat technical in nature. Supporters of the $15 minimum wage are seeking to require the City of Minneapolis to place a proposed $15 minimum wage amendment to the city’s charter on the November ballot. Following a legal opinion from the Minneapolis city attorney, the Minneapolis City Council voted that the minimum wage proposal is not a proper subject for a charter amendment. Instead, the city maintains that a Minneapolis minimum wage requirement can only be adopted by a vote of the City Council on a proposed city ordinance, not by popular vote on a proposed charter amendment. Last week, Hennepin County Judge Susan Robiner disagreed with the city, issuing a ruling requiring the city to place the proposed minimum wage charter amendment on the ballot. The city quickly appealed, asking the Minnesota Supreme Court to review the case on an expedited basis. The court agreed and is expected to hear the case yet this month. Timing is tight, because the city faces upcoming Hennepin County deadlines for placing items on the November ballot. As with the Minneapolis sick pay ordinance enacted earlier this year, the pros and cons of a $15 minimum wage in Minneapolis are being hotly debated. Supporters of a higher minimum wage seek to promote general welfare and alleviate poverty, while businesses – particularly small businesses – worry about being able to sustain their operations in the face of multiple increased wage costs on a variety of fronts. Whatever your views, the time to gather information and consider your options is now. If the $15 minimum wage proposal ends up on the November ballot, the competing camps will be seeking to educate and sway voters before the election. Here at GPM, we will be watching for and will update you on the Minnesota Supreme Court’s ruling.